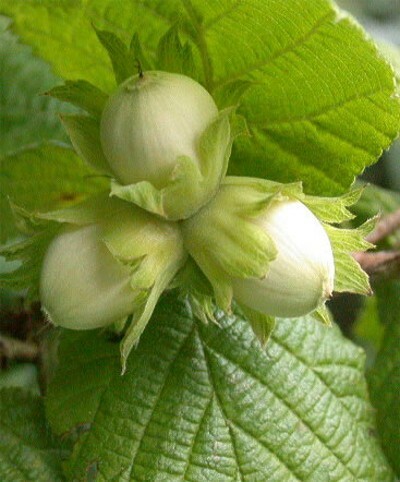 Hazelnut (Corylus; Ukrainian: lishchyna zvychaina; American: filbert). 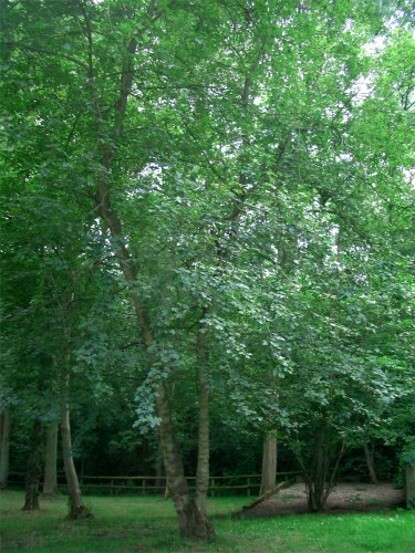 An important nut-bearing plant; a genus of the birch (Betulaceae) family which grows most frequently as a tall bush (2–4 m) and less frequently as a tree (7–8 m). 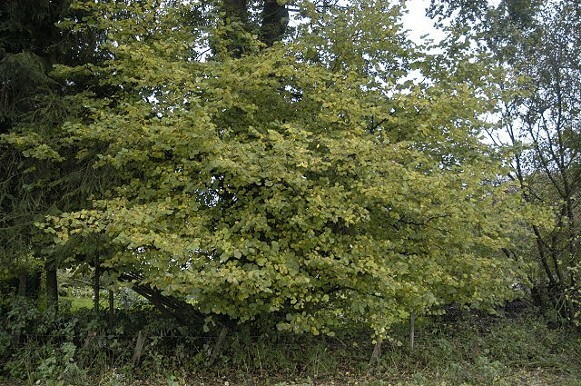 Two species grow in Ukraine: the common or European hazel (C. avellana), found as brush in mixed forests in Polisia and in the forest-steppe region, and the giant hazel (C. maxima), cultivated in the Crimea and in eastern and southeastern Ukraine. Hazelnuts are grown commercially for food and processed for oil; the wood is used in carpentry. 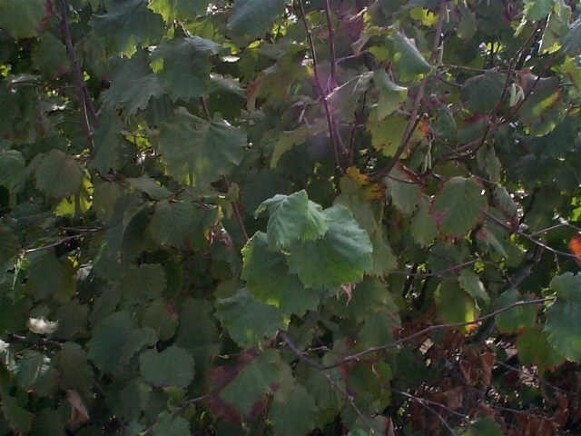 Hazelnut trees are planted for anti-erosion and decorative purposes throughout Ukraine.